I just love these pictures and they work so well in my bathroom. A real buy!!! 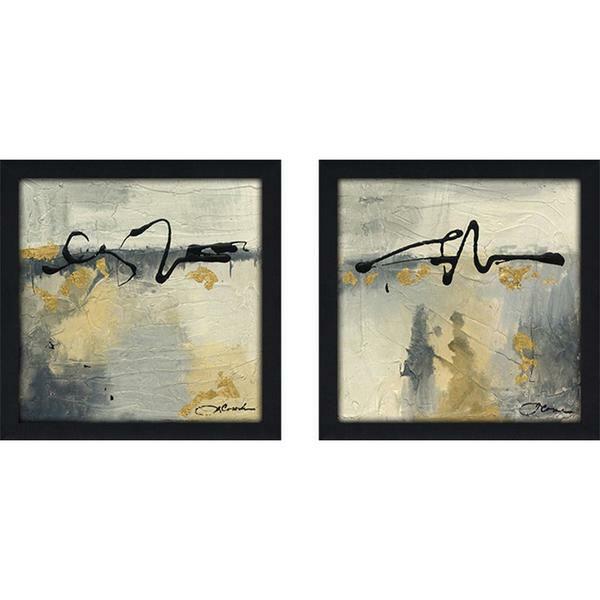 Product type: Each artwork is framed & finished in a 1" Black frame Individual Size: 14 inches wide by 14 inches high Medium: Protective Glass Cover Arrives ready-to-hang Care: Wipe with dry cloth only 100% Proudly Made in North America When hung side by side, their overall wall coverage is approximately 31 inches wide by 14 inches high, which includes 3 inches of spacing in between.